In endeavouring to write a history of the Ancient Capital of Scotland, we are reminded of the fact that no writer has ever attempted to give a consecutive narrative embracing the first ten centuries of the Christian era. For that period anything of historical value is very fragmentary; and we therefore must fall back on such material as we can obtain, in order to form an intelligible narrative. It would be a great acquisition to our historic literature if we were able to produce an authentic history of the Ancient Capital from its foundation onwards, but the difficulties in the way are insurmountable. Where, for example, are we to begin; and whom are we to believe? For the early history of Perth is involved in obscurity, and research has not greatly improved the situation. Agricola's was the third Roman invasion of Britain, and it occurred in the reign of Vespasian in the first century. From all reports the former was a man of temperate judgment, a skilful military commander, and well qualified to hold his high office. It was in the third year of this campaign that he is said to have got as far as the Firth of Tay, but the actual position of his camp cannot be finally determined. Any attempt to do so now could only be conjecture. It is said by some writers to have been at the junction of the Tay and Almond, but no trace of a Roman camp can be discovered there. It is at this point that we meet the first and greatest difficulty. What was it that induced the Roman general to establish the headquarters of his army on (presumably) the North Inch? for we must take the Castle Gable district, the Skinnergate and Watergate, the subterranean street under St John Street and Princes Street, and from that to the river, as very probably the site of this encampment The old castle which stood in that locality is believed to have been built by him. The Inches and the river would undoubtedly afford him inducements to pitch his camp, which, judging from other Roman camps in Scotland, would be on a considerable scale; and this is supposed to have been the beginning of what afterwards became the Ancient Capital. In the darkness and obscurity which prevailed over Scotland at that early or pre-historic period, we are much interested to know what was its condition; were the natives purely Picts and Scots, or were there other races in addition to these? We have no reason to suppose that any race, other than the Picts and Scots, occupied our more immediate locality. It was a savage period, as rude as that of Somaliland and of the native races of Africa to-day. The Romans were the harbingers of a new economy. Their arrival sounded the death-knell of the barbarians, and they introduced, by the aid of military conquest, the dawn of civilisation, which led eventually to the extermination of the native races, and their slow but gradual replacement by a race of inhabitants who became more enlightened and civilised. The first six centuries of our local history were essentially an age of Paganism, but the seventh and eighth and succeeding centuries witnessed the development of an improved state of the country; and undoubtedly the civilising influence inspired by the Romans achieved a tremendous accession of strength when Kenneth M'Alpin, by military conquest, amalgamated the Picts and Scots in 843. This victory was as great in its time as Bannockburn was in the fourteenth century. It substantially settled the civil war that had raged for centuries in our immediate neighbourhood, procured a lasting peace between the two fighting native races, and paved the way for subsequent peace and civil and religious liberty. Assuming then that Agricola erected dwellings for the use of his soldiers during the Roman invasion, and that the Roman evacuation occurred in 420, that would give 337 years as the period during which Victoria or Bertha was a Roman or Latin town, governed by Roman laws and customs. It may have been, as is very commonly asserted by antiquarians, one of the Roman cities of Britain.1 For one thing, the native races had got from the Romans a military education, an initial knowledge and experience of military tactics, and the use of arms. In proof of this, they carried on warfare with redoubled vigour after the Roman evacuation. Some writers go the length of saying that they drove the Romans out of the country. Be that as it may, the life of the native races, the Picts and Scots, for four and a half centuries afterwards, was one of continued fighting, until in the ninth century, as already stated, they were subdued by Kenneth M'Alpin, who became the head of the new monarchy. This important achievement, which solved a great question, took place near Scone. Kenneth was encamped there, and the Picts coming up under Drusken, their king, both armies drew up in order of battle. The Picts were totally defeated, and their king slain. What part Bertha played in this drama we do not know, but there is reason to suppose it was the headquarters of the Picts before the foundation of Abernethy and Scone. It is not at all improbable that the Ancient Capital occupied the site where Perth now stands. In support of this theory, modern research indicates that the ancient town of Agricola must have been 15 to 20 feet lower than the present town, and that Perth of to-day is built over the ancient city. To protect the town against inundations, the authorities were obliged to raise the levels from time to time. During last century traces of buildings and paved streets, evidently Roman remains, were actually discovered 15 feet below the present level in the neighbourhood of St John's Church and St Paul's Church, the two extremities, so to speak, of Northgate or High Street When the foundations of St Paul's Church were being excavated, at a point where the surface is 20 feet above the level of the river, there was found at the depth of 10 feet a work of well-built ashlar masonry, extending in a line parallel with the river, and provided with iron rings and staples, indicating its having been a quay. A subterranean stable was found under the present street level, having four stalls and a manger very neatly wrought of the twigs of trees, work that was much practised by the early inhabitants. According to an ancient writer,1 such persons as had occasion to dig deep into the streets found that there was a causeway many feet below the present surface. Whittaker, a more eminent authority, is of opinion that Perth, or Victoria, as it was called by the Romans, was declared to be a Latin town, the privileges of which were that the inhabitants were not governed by a foreign prefect and foreign questor, but by a prefect and questor elected by themselves. Every inhabitant of such a town who had filled the office of prefect and questor was immediately entitled to the privileges of a Roman citizen. Assuming this statement to be accurate, Victoria or Perth must have been in existence during the Roman period. The position chosen by Agricola for his camp, if on the site where Perth now stands, would be an admirable centre for military operations. It is recorded that the name given to it by them was Victoria, signifying "Victory"; a name, however, which the native races thought spelled "subjection." Accordingly, they changed it on the departure of the Romans. To Agricola the name was suitable, as he had conquered Britain, and the founding of a town would be a memorial to himself and the senate and people of Rome. [The statement by Chalmers that Victoria was in the west end of Strathearn is quite erroneous.] The Bertha of Fordoun must have stood on the site of modern Perth. He wrote in the fourteenth century. Boece, who was born in Dundee in the fifteenth century, has been quoted by various writers as an authentic historian. But he is not so, and cannot be accepted as such, notwithstanding Adamson's belief in him. What Adamson has related is not his own creation, but is understood to be conform to the current literature of the time, and is, of course, open to question. The Romans had many encampments in Scotland, and not a few of these in Perthshire. The rivers, mountains, and unexplored regions offered facilities for warlike operations, and for the subjugation of the native races, while their campaign against the Northern Picts evidently obliged them to make their initial preparations in Perthshire as being a choice centre. There is no authority for the statement that Agricola never was in the neighbourhood. It is sufficient that he constructed a temporary bridge across the Tay at its junction with the Almond, one mile up the river from Perth. This evidently was to enable him to penetrate into the territory of the Northern Picts as after events showed. It is said he exercised a vast influence for good amongst the Picts and Scots, notwithstanding that he was engaged in subduing them, and that he introduced Roman manners and customs, and stimulated the people to build temples and improved dwellings. From what is recorded of Agricola, we should think this a highly probable deduction. What gave rise to the town being called Perth is not so clear. Evidently from Victoria it became Bertha. This in all probability would be immediately after the Romans departed from Britain. Up to 420 the town was evidently called Victoria, and was so designated by the Romans. We have no charter or written documents so far back to throw light on what would have been of much interest We must therefore rely on the circumstances of the period, so far as known to us, in order to determine these points. We assume, then, that Victoria was its name when founded, and on the departure of the Romans the name was changed to Bertha, and eventually Perth; as regards both these we must look for a Celtic or Gaelic derivation. The origin of this place-name appears to be found in "Aber-tha" meaning "the confluence of the river Tay," with some other river or stream, or with the tidal waters. The initial vowel of "Aber," for the sake of abbreviation, having been thrown away, the name became "Bertha," which being further curtailed became "Berth." The transition from "Bertha," or "Berth," to the modern "Perth," is easy—B and P in the Celtic vernacular being easily interchangeable; in fact, B in Gaelic is invariably pronounced as if it were the softer consonant P. "Tay" (Latin Tavus), and (Celtic Tarrh, pronounced "Tav"), means the still, quiet, flowing water. Perth from the Roman period up to the latter half of the sixth century was undoubtedly called Bertha, and on the conversion of the Picts to Christianity was named St Johnstoun because of the dedication of the Church to St John the Baptist Bertha does not seem to have appeared in any official document Up to the seventeenth century it was known both as St Johnstoun and Perth. St Johnstoun repeatedly appears in official papers both before and after the Reformation. Boece, followed by Camden, Buchanan and others, alleges that the earlier "Perth" was at the confluence of the Almond and the Tay, that its original name was Bertha, or Berth, and that the town having been swept away by an abnormal flood, anno 1210, a new town arose two miles farther down the river. This may be characterised as a fable, and dismissed sans ceremonie. There was, however, a Rath-ver-Amon at the head of the Almond, where Donald, brother of Kenneth M'Alpin, according to the Chronicle in the Register of St. Andrews, died, anno 863, and where Constantine IV. was slain, anno 995. In the "Liber Ecclesiae de Scon" (especially in the Charter given by Kings Alexander I., 1107-1124, Malcolm IV., 1153-1165, and William I., 1165-1214), there is ample documentary evidence that a town of the name of "Perth" was in existence long before the year 1210; and where else but on the present site? Before 1210, it had its "castellum," its "mansio," its "molendina," its "pons," its "villa," etc. We are informed, on sufficient authority,1 that Perth is intimately associated with the early history of Scotland. For the first ten centuries of the Christian era, what is now called Scotland was divided into petty kingdoms, and it was only at the close of the tenth century that these were amalgamated, and formed the kingdom of Scotland. The country was known previously by the name of Caledonia or Alban. The geographical names-England and Scotland—had not then been applied to the British Isles. North of the Forth the inhabitants were called Caledonians or Northern Picts: south of the Forth, Southern Picts or Britons. The territory forming the subsequent kingdom of Scotland was, in the seventh century, peopled by four races: Picts, Scots, Angles, and Britons, and a Roman historian, Marcellinus, who describes the first great outbursts of the barbaric tribes upon the Roman province in Britain in 360, says:—"Picti Saxonesque et Scoti et Allacoti Britannos aerum-nis vexavere continuis." The Britons were the inhabitants of the Roman province, which then extended to the Firths of Forth and Clyde, and was protected from the barbaric tribes by the Roman wall between these two estuaries. Two and a half centuries afterwards, all four nations occupied fixed settlements in Britain, and had formed permanent kingdoms within its limits. A well-informed writer says that the town was regularly built and fortified at the command of Agricola while he was prosecuting his conquests north of the Forth, and that he built a strong castle and supplied the ditches with water by an aqueduct from the Almond In the sixth century the Picts were converted to Christianity, and dedicated the Church of Perth to St John the Baptist This is the earliest historical incident recorded, and it enables us to recognise the fact that Perth was at that period a town of moderate size, at a time that might be called prehistoric. The matter of the alleged exclamation of the Roman soldiers when they first beheld the Tay, "Ecce Tiber, Ecce Campus Martius," is nothing more than a tradition. The new statistical account states that Adamson, who recorded it, had in his possession the Dundee MS. From what Cant says, it contained nothing about "Ecce Tiber." Dundee was a citizen of Perth, and in this MS. were recorded several local events. The MS., which has unfortunately been lost, dates from 1570. Up to the time of Columba, the primitive dwellings of the inhabitants would not necessarily be of stone. They are more likely to have been of wood and wattles, and for some centuries that would probably be the class of house forming the town. We are further informed that if the authority of ancient writers is to be accepted, there was a town built on the site of Perth by the Romans in the first century. Historians have preserved some notice of the existence of Perth during the troublous centuries that preceded the reign of Malcolm Canmore. Before David I. came to reign, according to these authorities, there was regular government in Perth, under which people lived and had a measure of protection for their property. The King, residing in the old Castle of Perth, took an interest in the town's welfare, called it "his burgh," and threw the special protection of law around its inhabitants ; he granted them the privileges of free citizens, with right to elect magistrates and administer justice, and conferred a monopoly of trade within the county of Perth. Like other royal burghs, there were an Alderman or Provost, Bailies, and Council, elected annually at Michaelmas, by the free voice of the burgesses in public assembly. Under David I. the rights and privileges of the burgh were the common property of all burgesses, whether craftsmen or merchants. It is stated by another writer that early in the fifth century, about 422, a Roman legion made its appearance for the last time, and succeeded in driving the Picts beyond the northern wall; but it was no longer possible to retain the province of Valentia—the country between the walls of Antoninus and Severus. During their occupation, civil war was constant between them and the Picts and Scots. For a century and a half thereafter, there are practically no annals at all, so that we know nothing of the country for that period. For a time after the Roman occupation ceased, a darkness, it is said,1 settled down over Britain and shrouded the inhabitants from the eye of Europe, till the spread of that great and paramount influence which succeeded to the dominion of the Roman Empire—the Christian Church. Perth stands supremely alone, as being probably the scene of more historical events and as having once been distinguished by more ancient monuments than any place of which we are aware. The latter, if we except the Church of St John, have all passed away. Some were monuments of no mean pretensions. There was the House of the Green, the most ancient of them all, with its predecessor the Pagan temple dedicated to Mars, and its legendary reputation; the Gilten Herbar or Gilten Arbor, with equipments in gold, silver, and brass, forming part of the grounds of the Blackfriars; the Castle of Perth, the residence of the early kings, with its garden and its constant influx of royal personages; Gowrie House, which for elegant design and internal equipment was a famous building; and the Carthusian Monastery or Chartreuse, the most ornate and elegant of them all. These monuments will continue to have a deep interest to natives of the ancient capital, as well as to students of Scottish history, for they will always throw a side-light on the chess board of local events at a time when few historical records were written. But when all has been said and done, we much regret that so little has been recorded, and how little we know of the social and political life of the inhabitants all through these ages since the Roman period. The greatest event in Agricola's campaign was probably his defeat of Galgacus, although it is a fair deduction to suppose that he must have fought several battles, looking to the number, extent, and vast distance between the Roman camps in Scotland. Tacitus gives us the details of one battle, but he does not say that that was the only one that was fought by Agricola. He has left us entirely in the dark as to where Mons Grampius is, where this battle was fought. Much controversy has taken place over this event, and whether it was fought in the district of Comrie, as some allege, or at Blairgowrie, or near Stonehaven, it is impossible now to determine with certainty. Excavations have recently been going on at Inchtuthill, on the Delvine estate, and military weapons have been found there which seem to indicate that a battle, but not this battle, must have been fought in that neighbourhood. Agricola evidently pursued the enemy along the ridge of the Grampians, probably to Inchtuthill, where he crossed the Tay by a wooden bridge. There are Roman remains all along the ridge. The Roman road from Innerpeffray to Dupplin seems to have been made at more leisure, when the Romans were settled in Angus, as all the country to the east of the Tay was then called. That these roads were not completed, not even the bridges over the Tay and Isla, seems evident, as the Romans retired by the wooden bridge at Inchtuthill, and broke it down after them, which obliged the Scots to march to Dunkeld and erect a wooden bridge there. Some writers point out that at the date of the battle the word "Grampians" had not been applied to these mountains, nor was it applied for long after, Drumalbyn and the Month or Mounth being the names by which these hills were then known. Consequently, there are those who deny that the Mons Grampius of Tacitus had anything to do with the Grampian mountains. Instead of the Roman author taking the name of the battlefield from the native name of a chain of hills, we have given the chain of hills its name from that by which the Roman author was supposed to have designed the battlefield. We find there are vestiges of Roman camps at Camelon, Ardoch, Strageath, Bertha, and Coupar-Angus. At Callander (Leny) the camp was very extensive, and the ramparts of great height and strength. At Dalginross and Glenalmond there were only summer camps of small extent. From the neighbourhood of Perth all through Strathmore, Roman works are to be found, and in the Muir of Lour in Forfarshire are to be seen the remains of two Roman camps, with a causeway or Roman road running between them (eight miles). The camp at Battledykes, three miles north of Forfar, is defended on all sides by two ramparts of stone and earth, and two gates on the north and south sides. It is no paces in circumference;1 another writer says it is 470 yards square. Another camp in the Muir of Lour at Haerfaulds, said to be 800 yards in length and 400 in breadth, is about eight miles from that at Battledykes. Those two camps, thus connected, secured the whole breadth of the valley of Angus. Battledykes is six miles from the nearest mountain, while Haerfaulds is eight miles from the sea and guarded the other side of the valley. The military way from Fordoun must have gone by the large camp at Ury hill, three miles north-west from Stonehaven. This camp (Kempstonehill) is three-quarters of a mile square and three miles in circumference, fenced with a high rampart and a very deep and broad ditch. There are six gates, each fortified with a rampart and ditch. Another writer supposes the Romans to have proceeded through Strathmore and the "Howe" of the Mearns to Fetteresso, where there are the remains of a Roman camp, situated about a mile from Stonehaven and not far from the sea. From this camp the Romans, according to this writer, proceeded north-east along the coast, crossing the water of Cowie (which runs past Ury) to the Kempstonehill, a few miles north of Stonehaven, where there are three cairns. These are between two huge stones, each 10 feet high, standing on end, 100 yards from each other. In each of these cairns stone coffins have been found, within which were urns containing earth. It is probable that Agricola first visited his fleet at the mouth of the Tay; then marched to the Muir of Lour, thence to Battledykes, and onward to Stonehaven, where it would seem (Kempstonehill) the great battle described by Tacitus was fought.There is much probability in the theory laid down by this writer, and much to be said in support of it, although we cannot regard his conclusions as final. In regard to the camp at Dalginross another writer wrote an interesting and well-thought-out paper in 1807, which was read before the Perth Literary and Antiquarian Society. He says tradition reports that the battle lasted three days between Edinample, Lochearnside and Cultoquhey. He adopts Gordon's idea that the battle took place on the plain at Dalginross, which is four miles long from the wood of Craigish to nearly opposite the church of Strowan, and in most places one and a half miles broad. He refers to the hills from Aberuchill to Monzie as forming a great amphitheatre, and as fitting in with the description of Tacitus, and etymologically from Gaelic derivations conveying the same meaning as the word "Grampians." Whittaker uses the same argument for the battle having taken place at the confluence of the Tay and Isla. That is on the estate of Ardblair, the Gaelic derivation of which is, he says, the Hill of Battle. It is thus obvious that the exact site of the famous engagement cannot be accurately determined. For Kempstonehill, Dalginross, and Inchtuthill respectively much is to be said, and the solution of the question must for ever lie between these places whose claims to the honour are decidedly strong. The balance of evidence inclines us to favour Kempstonehill. The Roman works there and in all that neighbourhood are of such an extensive character as to arrest our attention in the consideration of this matter. There is no other locality in Scotland, so far as we are aware, where such huge encampments were built and fortified. These works were presumably executed in view of permanent occupation, as the subjugation of the Caledonians or Northern Picts was a work that might last for years. Those warlike people, like the Boers of the Transvaal, fled into the fastnesses of their wild surroundings—into the caves and covers of the rugged mountains, in the face of an enemy. To get at them was an operation of no small difficulty. The elaborate preparations for the subjugation of the country which these camps indicate are a strong proof that the Galgacus engagement took place there. The Romans founded various towns in Scotland at that period, although we have no historic record. The Emperor Vespasian, Agricola's friend and patron, died in A.D. 79, and was succeeded by Titus, his eldest son, who in the third year of his reign died from the effects of poison, said to have been administered by Domitian, his brother. In the second year of his reign Domitian recalled Agricola. Shortly after this Agricola died in his fifty-sixth year, of poison, also said to have been administered by the tyrant Domitian. A beautiful tribute was paid to his memory by Tacitus, his son-in-law: "All of Agricola that gained our love and raised our admiration, still subsists and will ever subsist, preserved in the minds of man, the registers of ages, and the records of fame. Agricola, delineated with truth, and fairly consigned to posterity, will survive himself and triumph over the injuries of time." Strange though it may seem, we find that the Ancient Capital or its immediate neighbourhood was in early times the seat of an encampment of the Druids. This encampment was at Kilspindie, a few miles distant. Of these people we know very little, while a great deal that has been written about them is the merest conjecture. One thing is certain, they were a cruel, barbarous, and despotic race, indulging in the most abhorrent of all rites, the sacrifice of human beings. Religion, prior to the time of the Culdees, was in the hands of the Druids, who are supposed to have combined the characters of prophet and priest Religious rites are said to have been celebrated by them in the recesses of the forests, which at that time covered a large part of the country. The Druids had no covered temples. The forest was their temple, and a rough unhewn stone their altar. They worshipped deities corresponding to Jupiter, Mars, and Apollo, and were ruled by an elected chief. They made their own laws, which they never reduced to writing, and constituted themselves the instructors of youth and judges of the people. Whether they taught the immortality of the soul and its transmigration from one body to another until received into the assembly of the gods, as has been said by some writers, may or may not be true. The Druids are believed, in the legendary traditions of the Highlands, to have been of both sexes, as we also learn from the testimony of ancient history. When Suetonius invaded the island of Anglesea, his soldiers were struck with terror at the strange appearance of a great number of the consecrated females, who ran up and down the ranks of the army like enraged furies, with their hair dishevelled and flaming torches in their hands, imprecating the wrath of Heaven on the invaders of their country. These Druidesses were of three classes—those who vowed perpetual virginity; those who were married, and those who served. The Druids computed time by nights not by days, and they regulated all their great ceremonies by the age and aspect of the moon. Their most august ceremony of cutting the misletoe was always performed on the sixth day of the moon.8 Whatever they may have been in Caesar's day, they were supposed to be endowed with gifts of divination and a certain limited power to work miracles—something partaking of the witch and Bohemian in later times. They were the supreme judges in all disputes, and ratified their decisions by excommunication. The Druids are said to have been acquainted with the learned languages, skilled in the philosophy of the times, and to have possessed much political influence, and to have been the leaders of the people in theological matters. It is said they honoured the Divine Being, and worshipped inferior deities, that they believed the soul to be immortal, but that it passed from one body to another; that they had consecrated fires, and that they either worshipped fire or adored the Deity in the presence of the fire. They worshipped in groves, and erected circles of large stones, where they performed religious rites and held courts of justice. That the Druids came from Asia at a very early period is beyond doubt, and that they retained many of the religious ceremonies practised by the heathen nations there is quite evident The heathen deity Baal was an object of veneration among them. The high places of Baal are to be met with in this county, and still retain the name of that god to whom the Druids paid homage. The hill of Beal (Baal) is situated in the parish of Kilspindie, and forms the most conspicuous eminence in that part of the Sidlaws. On the summit of this hill is a level area capable of accommodating 5,000 men. Here the Druids are supposed to have held their annual assemblies, and from the extensive view could issue signals to light the hallowed fires all over the surrounding country. A circle of stones has given the name of Clachan to a small eminence about 200 yards east from the hill of Baal. A mile to the east is a perpendicular rock called Craig Greine or Craig of the Sun. Some suppose that the Sun was worshipped under the name of Baal. To the east of Craig Greine is a circle of stones, and in one of these are several cavities to receive the water pure as it fell from heaven, and in which the Druids are said to have performed their ablutions. About a mile south from this is another circle of stones, while at Bandirran, three miles from the hill of Beal, stands another circle. The adjoining ground is Dritch Muir (Druids' Muir). On breaking up some of the ground in 1819, a large cairn was discovered, coated over with turf a foot in thickness. Below the cairn and about the centre of the circle was a pit 30 feet long by 18 feet deep, faced on the sides with freestone and paved in the bottom. It was empty. But a number of small cairns which were found near it, covered large quantities of ashes; and human bones, half burnt, were found amongst the stones, indicating that the Druids offered human sacrifices, or used the ground as a place of sepulture. Two miles from Druids' Muir is a place called Sildry, supposed to have taken its name from its summit having been used as an observatory of the Druids. About a mile south from the hill of Beal is a stone circle called the Druids' Temple. The church of Kilspindie stands a short distance south-east from that circle. Near the church is the village of Pitroddie—Pit-drodie, Pit-Druidae—the burying-place of the Druids. On a rising ground near the village a number of ancient graves were found—some below large cairns, others almost at the surface. From the top of the hill is to be seen Tullybelton (in Gaelic, Tulloch-Beal-tein, mount of Baal's fire), also Drumbeltie (Caputh), Drum-Beal-tein. These were resorts of the Druids. The most vigorous opponents of the early Celtic missionaries were the Druids. The Druids are presented to us as sorcerers and magicians. Their stone circles and cromlechs are not heathen temples and altars, but sepulchral monuments. The magi of the Columban period are not priests, but wizards who have gained control over the powers that underlie the forces of Nature. In Kirkmichael parish, Perthshire, is a vast body of Druid remains. On an extensive moor in the east side of Strathardle, there is a large circle or heap of stones 90 yards in circumference and 25 feet high. From the east side of this circle two parallel rows of stones extend to the southward in a straight line upwards of 100 yards. These form an avenue 32 feet broad leading to the circle. West from this are two concentric circles of upright stones, the outer 50 feet, and the inner 32 feet in diameter, and in the vicinity is a rocking stone. About 60 yards north of this are two rude concentric circles similar to the others, and 37 yards farther on another pair of these circles. From these, at a distance of 45 yards, there is another pair, while in the vicinity are two rectangular enclosures of 37 feet by 12. All the concentric circles are of the same dimensions, the inner 32 and the outer 45 feet in diameter. In regard to the early inhabitants of Perth, the question has been often asked, Who were the Picts? Dr. John Stuart, an eminent antiquarian, informs us that it was the custom of the Britons to stain their bodies before the Roman occupation. Herodian, who lived in the third century, says they punctured their bodies with pictured forms of every sort of animal; and Thomas Innes, in 1729, makes it plain, while speaking of the ancient inhabitants, that the southern Britons, having given up the custom, the term "Picti," the painted, came to be applied to those in the north who continued the practice towards the end of the third century. A work called the "Historia Britonum," written in the seventh or eighth century, says: "From their tattooing their fair skin they were called Picts." The appearance, therefore, which our forefathers presented to the Romans must have been similar to that which the natives of New Zealand presented to the Europeans who first landed amongst them. The Picts, who are said to have occupied Scotland 200 years B.C., were a warlike, not a learned or literary people. The only books written in Scotland up to the seventh century are said to have been the lives of Columba and Adamnan and their writings, and the Chronicles of the Picts and Scots. Books were written in these days by the monks, and up to the eleventh century on papyrus imported from Egypt Paper made from silk and cotton was an invention of the eleventh century, and common paper as we have it of the fourteenth century. The services of the Church were performed in Latin, and it was considered an act of piety to attend, though scarcely one of the audience understood a word. The Picts had their own language, and did not understand Latin. It would thus appear that the service in St John's Church was in early times conducted in Latin. The English language of to-day was then unknown to the people. Latin was the official language recognised on all public occasions, and by the monks and scribes in reducing anything to writing. Latin continued to be so for centuries, alongside of the native dialects, the Pictish, ancient Scots, and Gaelic or Celtic. The introduction of Christianity into Britain and its early connection with Perth forms an important chapter in our local history. Tertullian informs us that the Gospel had made its way into parts of Britain which the Romans had never reached, and he adds "a statement which may be supposed to indicate that at the end of the second century even Scotland had not been unvisited by missionaries." The churches of the early Christians are stated to have had no images or pictures. The connection of art with heathen worship operated against the employment of it in sacred things. Up to this time the figure of the Cross had not assumed its place in Scotland over the altar, nor was any devotion paid to it2 The more prominent events of the second and third centuries were the persecution of the early Christians by the Roman emperors, and controversies by persons having false notions of Christianity desiring to form peculiar sects of their own. In the beginning of the fourth century came the Arian heresy, combated by Athanasius, who fought many a battle on behalf of orthodox Christianity. The middle of the fifth century is remarkable as the period of the fall of what was known as the Western Empire. The Roman Empire was beginning to give way—the Western Empire being one of its dependencies. Britain, France, and Spain had been already abandoned by the Romans. Whether their leaving Britain was an act of expulsion by the Picts, or whether they found themselves unable to spare the forces necessary for maintaining a military establishment here, is not very clear. The next historical event was the arrival in Scotland in 563 of St Columba with twelve companions. For thirty years he laboured at Iona, where he established a little college long famous as a centre of religious training. The life and habits of Columba and his followers were characterised, as is well known, by self-denial. The rules laid down by the venerable saint were not to be disobeyed Six strokes were to be given to any one who would call anything his own; ditto to any one who should omit "Amen" after the abbot's blessing, or to make the sign of the Cross on his spoon or his candle; ditto to every one who should talk at meals or who should fail to repress a cough at the beginning of a psalm. Ten strokes for striking the table with a knife or for spilling beer on it. Penitents were not allowed to wash their hands except on Sunday. Such, we are informed, is an illustration of Columba's rigid discipline. A statement of considerable importance is made by Jamieson that Columba went into the eastern parts of Scotland or the territories of the Picts, and also was the means of converting Brude, the Pictish King, whose reign terminated in 587. When Columba and his companions arrived at the palace of King Brude, they were met by closed doors; but before the sign of the Cross, as the story is told, the locks flew back, the gates opened, and Columba and his companions entered. At the time of this visit Inverness was the Pictish capital. Abernethy and Scone were subsequently capitals. The visit to Brude is believed to have lasted some weeks, and to have resulted in his conversion and consequently the conversion of the Pictish people. His leaving the north was attended with a curious incident. On his announcing on what day he was to depart, a powerful Druid called Broichan intimated that on that day he could not leave, as he would raise a contrary wind and bring down the mist from the mountains; and so it happened. But Columba embarked in spite of the murmurs of the sailors, and ordered his canvas to be spread in the teeth of the gale and sailed triumphantly against the wind. This highly important visit with its results was the greatest event of the time, although it is unfortunate that we have no details of it. While it would be fully recorded afterwards by the monks, we must remember that the civil war and fire-raising which prevailed in these early centuries, the partial destruction of Perth by the flood of 1210, the various sieges of Perth, and the seizing of the national records by Cromwell, are sufficient to account for the disappearance of our historical MSS., which unquestionably perished during these troublous times. In those prehistoric days Columba was like a ministering angel, heralding the dawn of Christianity which, in subsequent ages, was to be the means of civilising the native races and securing to the kingdom the peace and prosperity we now enjoy. In view of this remarkable event, and of the pilgrimage of Columba to other parts of Scotland, a statement which has not been called in question, it is reasonable to conclude that Columba, in the course of these wanderings, visited Perth and preached the gospel to the Picts. What lends probability to this is that we know the conversion of the Picts followed as the result of his visit to the Pictish king. Perth at that period was a Pictish town, though not the capital, and was one of the places where the Northern Picts had a Pagan temple. It is fair to conclude from the circumstances of the time, and the fragmentary knowledge we possess, that the mission of Columba resulted in the abolition of this Pagan temple, afterwards replaced by the House of the Green, and the erection of the first Christian Church by the Northern Picts—afterwards called the Church of St John. The dawn of Christianity was thus heralded by the great apostle of Iona, and Perth of that day, with its primitive little Church, may be said (exclusive of St. Ninian's Mission) to have witnessed the first rays of Christianity that dawned upon our island. Had the loss of the national MSS. not occurred, we should doubtless have been able to confirm from authentic evidence the visit of Columba to Perth, and his opening the first Christian Church in our midst—the church which has lived through all these ages, and which we are proud to have still preserved as the greatest ornament of the Ancient Capital. While Perth has had a remarkable history, and been identified with sieges, battles, floods, conspiracies, the Reformation and the two Rebellions, the visit of Columba and the conversion of the Picts in 563 must ever be pre-eminent in importance as an historical incident, while it stamps our local history with the' mark of antiquity, and gives to our city a strong claim to be regarded as quite as ancient as any other town in Scotland. It is well entitled to the appellation of the Ancient Capital, and the narrative which follows will disclose a singular record, mixed up with many startling events both in its civil and military administration, in all of which the Scottish Parliament, the Scottish Nobles, and the Estates of the Realm played a conspicuous part We are informed by a highly capable authority, that Perth is certainly a place of very high antiquity. No record or chronicler alludes to its origin. It is probably as old as any sort of civilised society among us. The nature and administration of the Columban Church, like many historical questions, has been surrounded with controversy. The three great bodies, the Presbyterian, Episcopal, and Roman Catholic, each claim it as having been administered according to their formulas; while a learned writer, in our own time, says the constitution, as a whole, of the Columban Church, in which all bishops in the Church's service were under the supreme jurisdiction of the presbytery and abbot of Iona (Bede, iii. ), is quite inconsistent with what is, and then was, a leading feature of the Roman Church, viz., the government of the Church by an Episcopal Hierarchy. Another writer, who cannot be disregarded, tells us that Iona had a rector, and always an abbot and presbyter, to whom all the province and the bishops themselves were subject Segenius was presbyter and abbot of Iona when Aidan got the degree of a bishop, and was sent in 633 to instruct the province of the English. Bede informs us that Iona had a governor who was abbot, and always a presbyter to whose jurisdiction all the province and even the bishops themselves ought to be subject, according to the example of their first doctor, who was not a bishop, but a presbyter and monk. Bede, who wrote in the eighth century, says: "In the year 634, when Segenius was abbot, Aidan was consecrated at Iona, and sent to be bishop of Holy Island." He was succeeded there by Fernen and others, all clothed with the Episcopal character, and receiving that character from the monastery of Iona. At Iona there was always a resident bishop for exercising the Episcopal function. Bede was educated at Rome, and in England, when he returned, was made a bishop. Chalmers, in his turn, informs us that Columba and his disciples travelled for purposes of instruction through every part of the British territories. They established monasteries in every district of Caledonian territory. 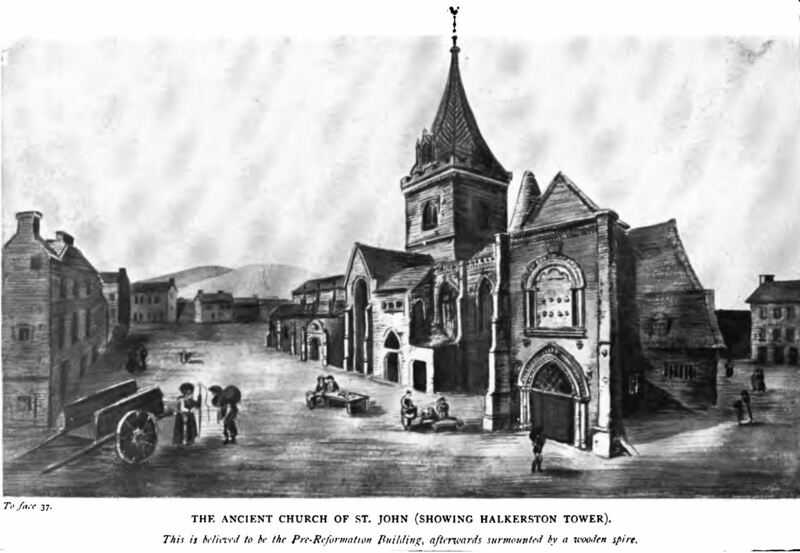 The Columban Church was in reality a mission from the Irish Church, forming an integral part of that Church, with which it never lost its connection. We ought not to expect that in character it differed materially from that Church. It was essentially a monastic Church without territorial Episcopacy or Presbyterian parity. Its doctrines in no respect differed from those of the Church in Ireland. The Columban Church according to Columbanus received nought but the doctrine of the Evangelists and Apostles. Whether it was governed by a bishop is a question that will probably never be finally determined. So far as we can discover, we don't think it was. Columba seems to have been mainly engaged in spreading the truth among the Pictish tribes for nine years after the conversion of King Brude, when he appears to have at length attained the primary object of his mission and visited Glenurquhart and Skye. King Brude died in 584, and his successor in the Pictish throne, Gartnaidh, had his royal residence at Abernethy, in the neighbourhood of Perth. He built the Church of Abernethy. He was called the Supreme King of the Tay, and of the tribes above the Tay, the people whom Columba taught For some months in the latter part of his life he was resident in Ireland. Of the monasteries which were founded in the Pictish territories by Columba, Adamnan gives us no account, nor does he mention any by name. The Book of Deer shows that these foundations extended as far as the Eastern Seas. (This would include Perth.) A few of Columba's other foundations in western districts and islands can be traced by their dedication to him. Adamnan tells us that he founded monasteries within the territories both of the Picts and Scots, and that he was the head of the Christian Church in Scotland. The Abbacies of Dull and Glendochart were founded in the seventh century, and their territory comprised the entire districts of Atholl, Strathearn, Madderty, and Crieff. The Monastery of Dull becoming secularised in the time of Abbot Crinan, the possessions descended to the Royal line, but were gradually broken up. Glenlyon, Fortingall, and Rannoch had all the parts of the Abthanerie. In 1455 the gross rental of Glenlyon was £33 6s. 8d. ; of Fortingall, £16; of Rannoch, £18 6s. 8d. ; of Methven (Strathearn), £120 8s. 4d. The accounts of 1373 inform us that the rents of Dull had been uplifted by Alexander Stewart, the "Wolf of Badenoch." Kinclaven, near Perth, was in early times Crown property, with a castle alluded to in the Exchequer Accounts of the reign of Alexander II. It was granted by Robert II. in 1383 to John Stewart, his illegitimate son. At what date it again reverted to the Crown does not appear. In the seventh and eighth centuries the Scottish people used chariots, and manufactured swords and other weapons, probably those articles of bronze so commonly dug up in the west of Scotland. They used cloaks of variegated colours, of home manufacture; and fine linen, which must have been of foreign production. The bodies of the dead of high rank were wrapped in it In the earliest churches there were bells, but only hand bells. They had boats or coracles of leather in the rivers, and galleys built of oak and carrying sail. In 802 Iona, which is said to have been presented to Columba by the Picts, was burned by the Danes, and the little community, numbering sixty-four monks, brutally slain. This catastrophe led to a resolution to remove to a safer locality, and Dunkeld was fixed on as the new site. The first church there was founded by Constantine II., King of the Picts, in 814, or twelve years after the burning of Iona and fully two centuries after the foundation of Abernethy, which is recorded as in 588. The geology of Perth offers some remarkable features to a student of science. It would appear from a well-informed local writer that Kinnoull Hill had at one period been connected with the Hill of St Magdalene, and that the disjunction which now exists has been gradually effected by the operation of water and other natural causes. Large masses of conglomerate completely detached from other rocks are to be found in the bed of the Tay between Orchardneuk and Friarton, the very position which they ought to occupy had a process of disintegration taken place. Without that supposition no satisfactory hypothesis can explain how these rocks came to occupy their present situation. The subsoil in every direction round Perth exhibits the most undoubted evidence that it had been exposed to the action of water. Much of it consisting of gravel, sand, etc, could only have been reduced to its present state by water. In many places the remains of trees and other vegetable productions have been found at a great depth below its surface, but probably 20 or 30 feet above the level of the Tay. Of this fact we have an example at Friarton, where trunks of large trees have been seen to protrude from the bed of clay which there forms the bank of the river. A careful examination of the superincumbent soil leaves no doubt that it had been deposited over the organic remains which it envelops by the action of water, a fact which is sufficient to prove that the Tay must at one period have been at least 30 feet higher than its present level. A barrier of 300 feet high running across the river between the hills of Kinnoull and St Magdalene would have been sufficient to cause the waters of the lake, to which they gave birth, to flow down the valley of Strathmore and discharge into the sea at Lunan Bay. It is a curious fact that we find along the route, which the waters of the Tay must have pursued, the remains of a great river in a chain of lochs which stretch between Forfar and the point at the coast which is its probable embouchure, while in the intermediate districts lying between these lochs there is abundance of gravel and other water-worn materials to attest the former operations of a river.